If you are planning a 2015 wedding, you’re sure to see a lot of articles about the current wedding trends. You’ll learn what colors and styles are in and what trends are on their way out this year. But what about wedding food trends? Catering by Seasons is the source for 2015 wedding trends in the kitchen! Read on to learn about our favorite new trends, returning favorites, and unique ideas for your wedding. Whether you are interested in a seasonal sangria or a cocktail with fresh fruit, this year is all about new drinks with a creative (and delicious) twist. Some of our favorites: spring apricot sangria, mojito ice pops for hot summer days, and bourbon apple cider for the fall and winter. Have a signature fruit cocktail in mind? We’ll make it for you! 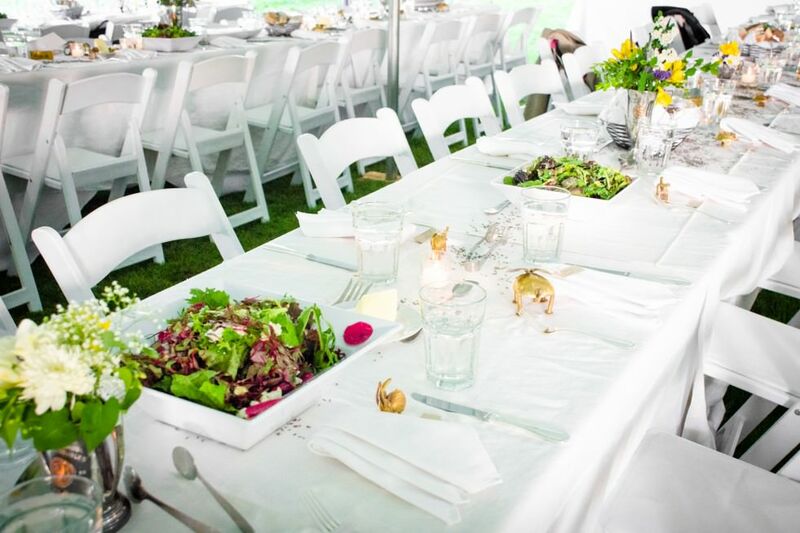 It is no wonder that family-style meals are taking off – they bring a comforting friendly atmosphere to weddings and events. You can compliment the experience by also offering a cherished family recipe to your guests. At Ruby and Steven’s fall wedding, our chefs worked with the family to replicate one of their fantastic home cooked recipes. It was a huge hit! 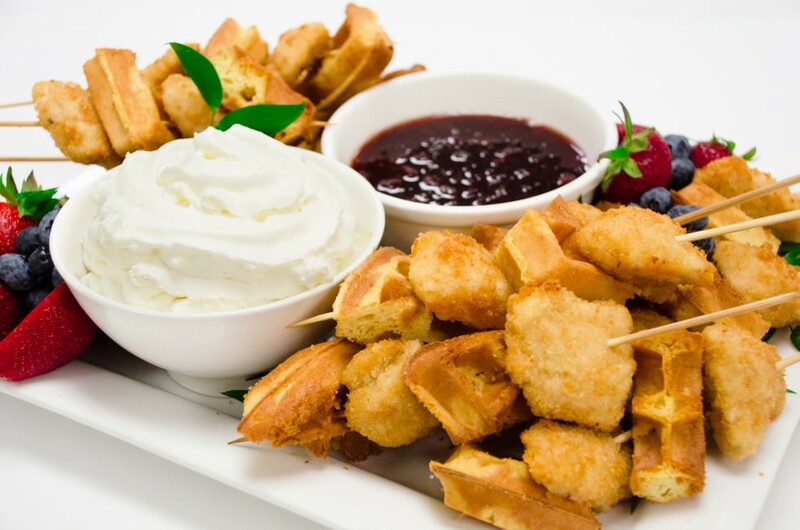 At your wedding you can party all night, but be sure to give your guests a savory snack to boost their energy. Here are a few ideas we absolutely love: steak and egg breakfast sliders, chicken and waffles, pizza bites, and mini grilled cheese. Have a favorite late night indulgence? Is there an off-the-wall food that you just love? This is a chance for you to get very creative, even if you have a more traditional dinner menu for earlier in the night. Couples are opting more and more to feature a culturally-themed station or passed hors d’oeuvre. The food my allude to their backgrounds, places they have traveled, or even just foods they really like. We have catered unique blends of Chinese/American dinners, Latin American stations, Indian hors d’oeuvre, Hawaiian plates and more. Depending on your guests, it is usually a good idea to offer a number of different types of food, giving everyone a chance to try different things that may be outside of their comfort zone. But remember, the night is about you, so make the menu all about what you want! There is so much that you can do with your wedding desserts! Consider an ice cream bar with extraordinary gourmet flavors such as green tea and whipped eggnog, or maybe you’d like a dessert bar with all your favorite childhood candies. Even cakes are changing, with couples opting for naked cakes – a layered cake served without icing. What kind of desserts fit you? We love all of these fantastic dessert creations! Contact us for more wedding inspiration or to start planning your wedding today!